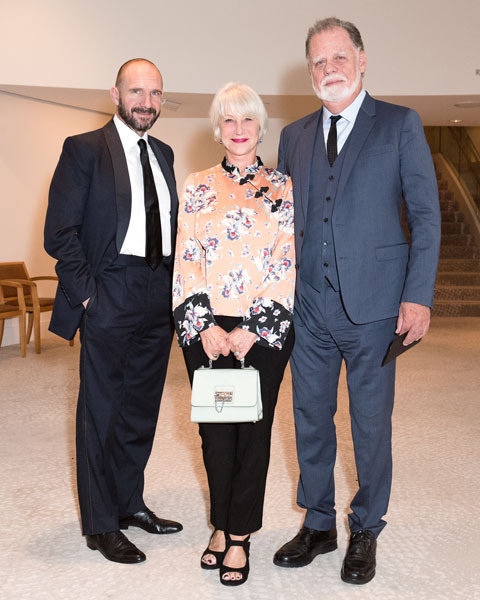 As part of its ongoing 50th Anniversary celebrations and continuing support for the arts, South Coast Plaza presented an evening of Art, Excellence + Friendship on October 30, 2017. 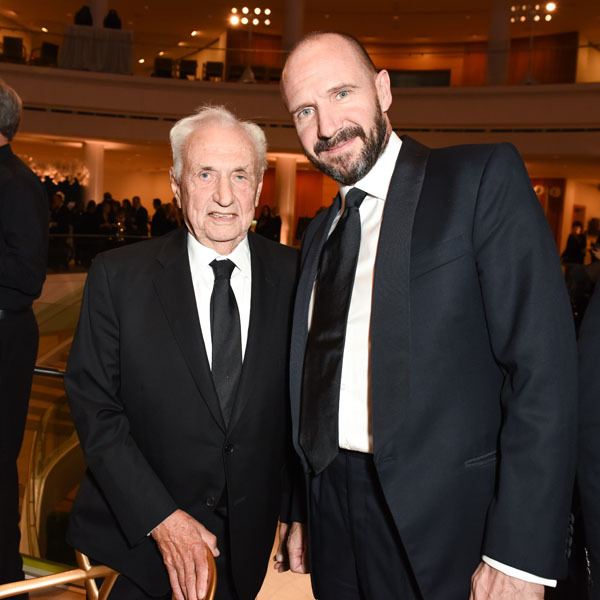 160 guests, including Helen Mirren, Ralph Fiennes, Frank Gehry and Plácido Domingo, joined philanthropists, dignitaries, artists, cultural leaders and business executives at an extraordinary concert by the Mariinsky Theatre Orchestra under maestro Valery Grgiev, followed by an intimate gala dinner. 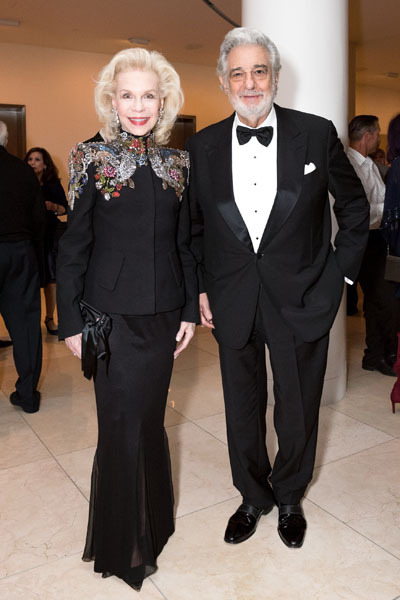 Part of the Philharmonic Society of Orange County’s vibrant classical music program, the concert was the latest in the Elizabeth & Henry Segerstrom Select Series, sponsored by Elizabeth Segerstrom, co-managing partner at South Coast Plaza. Upon arriving at the black (instead of red) carpet, guests experienced a modern and ethereal atmosphere. The luxe black, white and gold décor scheme was accented with all-white floral arrangements, including cascading Phalaenopsis orchids. Cartier pages ushered guests to a champagne dinner reception in the Box Terrace Lobby. Cartier Cuvee Brut Champagne, made exclusively for its maison, was hosted by Cartier for the evening.The dinner menu, created by chef Greg Stillman with the Patina Restaurant Group, was inspired by California’s autumnal bounty: beets, sweet potatoes, figs and mushrooms. The “Golden Egg” as part of the dessert trio, was a tribute to South Coast Plaza’s 50th Anniversary. At dinner at the Box Terrace Lobby in the Renée and Henry Segerstrom Concert Hall. Pianist Denis Matsuev performed an improvisation on Duke Ellington’s Take the A Train, followed by Pacific Chorale’s renditions of Leonard Cohen’s Hallelujah and Let the River Run, a composition by Carly Simon. 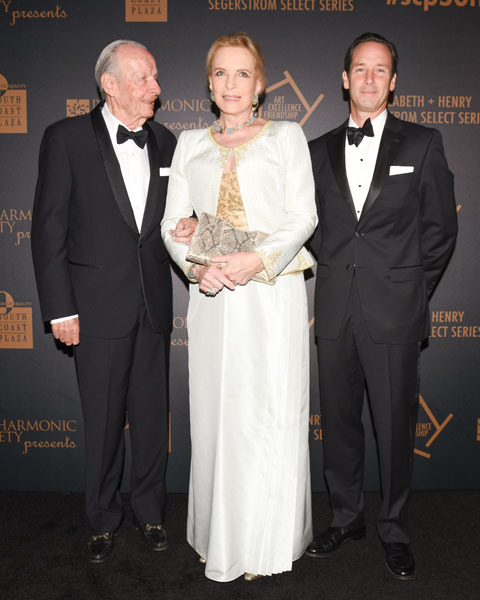 The recent performance of the Mariinsky Theatre Orchestra brings the friendship between the renowned Mariinsky Theatre and Elizabeth and Henry Segerstrom full circle, after more than a decade. In 2006, Elizabeth and Henry Segerstrom orchestrated a three-week Mariinsky Festival celebrating the opening of the new concert hall that featured the first Southern California presentation of Richard Wagner’s Der Ring des Nibelungen, also known as the Ring Cycle. 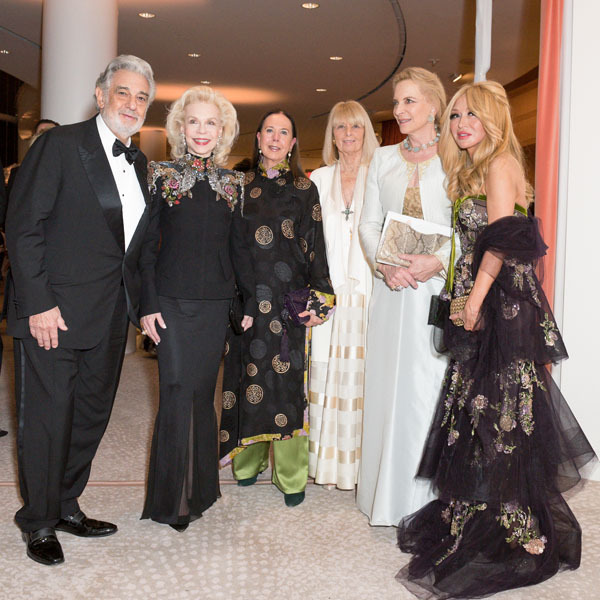 Attendees included: Elizabeth Segerstrom (Co-Managing Partner, South Coast Plaza), Anton Segerstrom (Partner, South Coast Plaza), Lynn Wyatt, HRH Princess Michael of Kent; HSH Prince Hugo Veriand Windisch-Graetz: HSH Prince Charles Windisch-Graetz, Helen Mirren, Taylor Hackford, Ralph Fiennes,Valery Gergiev (Mariinsky Theatre Orchestra), Plácido Domingo, Bill Viola, Kevin McKenzie, Michael Govan, Thom Mayne, Malissa Feruzzi Shriver, Mary McFadden, Anish Melwani, Daniel Mawicke, Ida Simonsen, Terry Lundgren,Christopher Forbes, and Prosper and Martine Assouline.